Asylum Sydney Backpackers Hostel v Sydney, Australia: Zarezervujte nyní! Join us for your friendly welcome to Australia! We provide free high-speed fiber optic 24-hour Wi-Fi, free breakfast, kitchen/BBQ facilities, and 24-hour communal Netflix/Sports TV room to all guests. 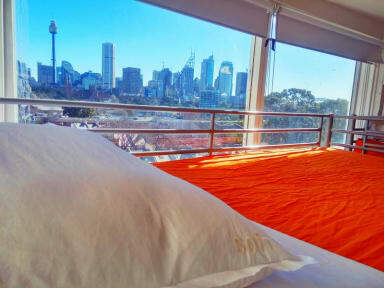 Ensuite dorms and spectacular city views are also available! In the heart of Sydney in Kings Cross, We're a small art hostel just 30 min walk from the Opera House and the Botanic Gardens and two minutes from Kings Cross Station. Asylum is perfectly situated just on the outskirts of Kings Cross, a short distance from great night life, but far enough to not be too noisy. We have friendly staff who will greet you on arrival and provide you with all the help you need to ensure you have a wonderful time here in Sydney! Coin-operated laundry facilities are available for $4 per wash and $4 per dry. Security is a high priority for us so we have cameras and two security doors. We also offer luggage storage.